I know it’s only spring (and if you’re up here in the Colorado High Country you might think it’s still winter). But it’s never too early to start planning your autumn wine trip to Valais, Switzerland where you will find an abundance of wine families. 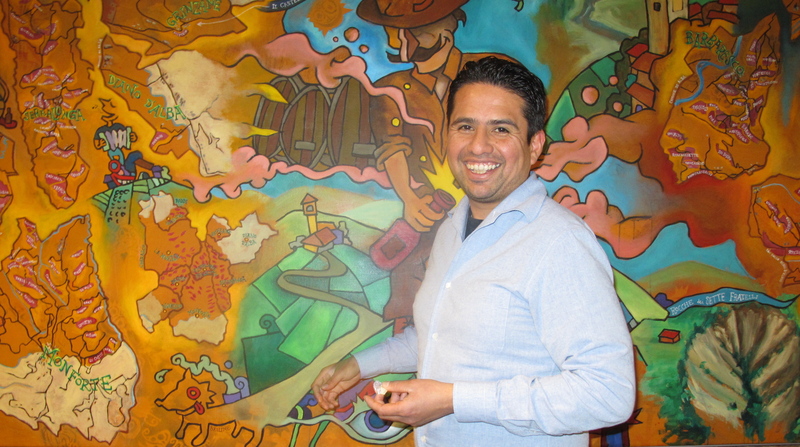 So I thought I’d post an article I did some months ago that was published in the Vail Daily. If you have questions or need travel tips, send me an email through this website. For those of you old enough to remember the movie and Broadway production, Camelot, you’ll recall Lancelot’s crooning song to Guinevere “If Ever I Would Leave You.” Basically, Lancelot loves her so much he can’t think of a season he could bear leaving her. I was like that when I left Switzerland’s third largest canton, Valais, after calling it home for nearly 25 years. There really is no a season when Valais isn’t special. But autumn is the season my love for Valais is greatest and the one I miss the most, even here in the visual splendor of the Rocky Mountain High Country. 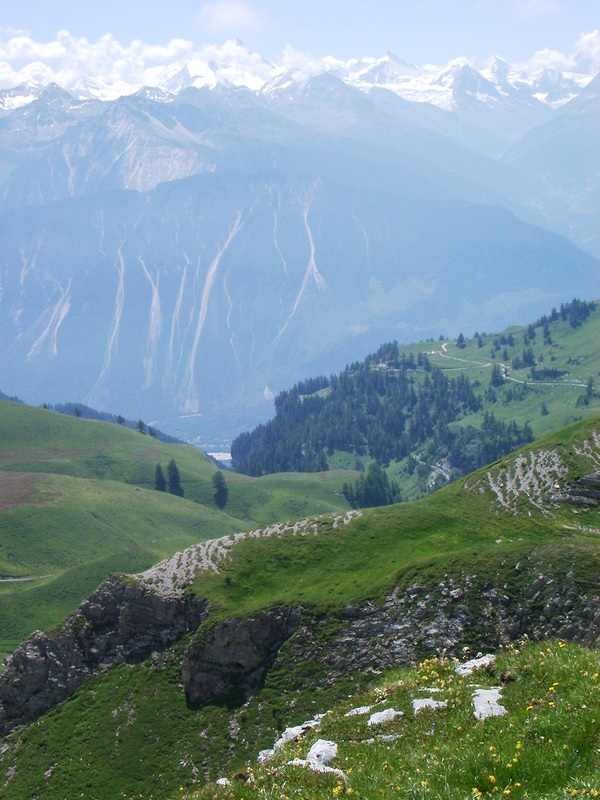 Other than Zermatt, most Americans are unfamiliar with Valais (Wallis in the German part of the canton). And that’s a pity. Valais’ beauty are the 300 million year old mountains of the Bernese and Peninne ranges soaring 14,000 feet above sea level over the lush Rhone River valley 13,000 feet below. The resulting diverse landscape is suitable for agriculture, viticulture, dairy farms, hydroelectric plants and recreation, most notably skiing, hiking and mountain biking. It’s the agrarian economy of Valais juxtaposed with the recreational wonderland that I love so much. Needless to say, viticulture creates particularly enjoyable recreational opportunities for oenophiles. The breathtaking panorama and rich culture – the amalgamation of over two millennia of various peoples, from the original Celtic inhabitants to Romans and Germanic Burgundians – makes Valais one of the most intriguing places in Europe. In America, tourists – and locals – flock to maple and aspen forests in autumn to witness colors dying leaves unleashed as chlorophyll levels diminish and vibrant colors masked by green emerge. Even in dry, hot years like this one, aspens paint the slopes in colors I liken to calico cats. No set pattern. Just a mélange of gold, red and white when early snows come. Valais has its own foliage, but its stars are changing grape leaves. Ancient vineyards use south-facing lower slopes of steep, craggy mountains and the floor of the Rhone valley as a canvas to paint their own botanical masterpieces. 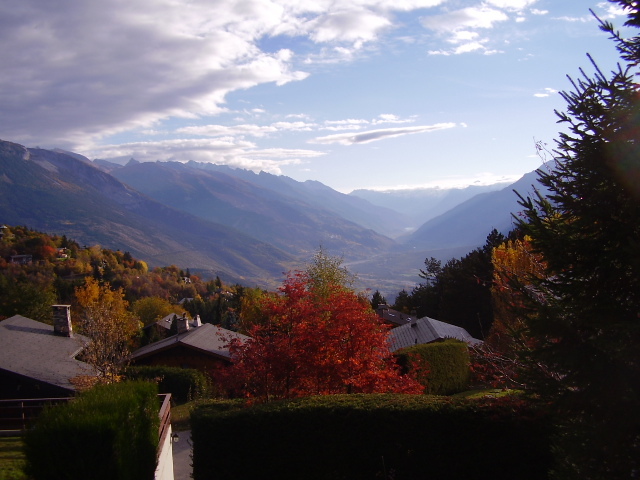 So now you have a vision of Valais in autumn. Let’s explore a bit the delights this season has to offer. This week, wine. Vineyard foliage provides the backdrop for the vendanges, or grape harvest. The oldest evidence of wine consumption in Valais is a 2nd century BC Celtic ceramic bottle found in a woman’s tomb. Odd habit of the Celts; they offered wine to the dead. Romans, who history tells us were into imbibing while still alive, picked up where the Celts left off. Wine has been continually produced in Valais since Roman times with production records from the Middle Ages found in church registers. When I mention Swiss wines, particularly to guests in our home, I get a kick out of watching their skeptical faces turn to smiles of enjoyment as they take their first sips of these Alpine wines. Primarily due to the relatively small production and high labor costs, not to mention the skyrocketing value of the Swiss Franc, over 98% of Swiss wines are consumed domestically. And that’s pity. The wines are truly special. During the vendanges, growers pick grapes for over 23 locally produced wines from Visp (the turn for Zermatt) west to Martigny. The often hot and dry microclimate of Valais, one of the sunniest spots in Europe, is perfect for growing a number of cultivars, some familiar to Americans, some not. Fendant, one of the over 100 synonyms for Chasselas and used exclusively in Valais, is the second most planted grape in Valais, behind Pinot Noir. To the Valaisans, Fendant AOC is as iconic a Swiss symbol as cows, cheese and chocolate. The Valaisans are pragmatic people. All good food needs good wine and starting off a meal in Valais with a cold bottle of Fendant is a gastronomic must amongst locals. Makes sense since it is a natural pairing for cheese dishes such as Raclette AOC produced in high mountain pastures – alpages – during the summer and enjoyed throughout the year. The origin of “Fendant” is thought to be a local patois derivation of the French verb “fondre,” to melt. The tough outer skin is in stark contrast to the large grape’s delicate meat that melts when squeezed. 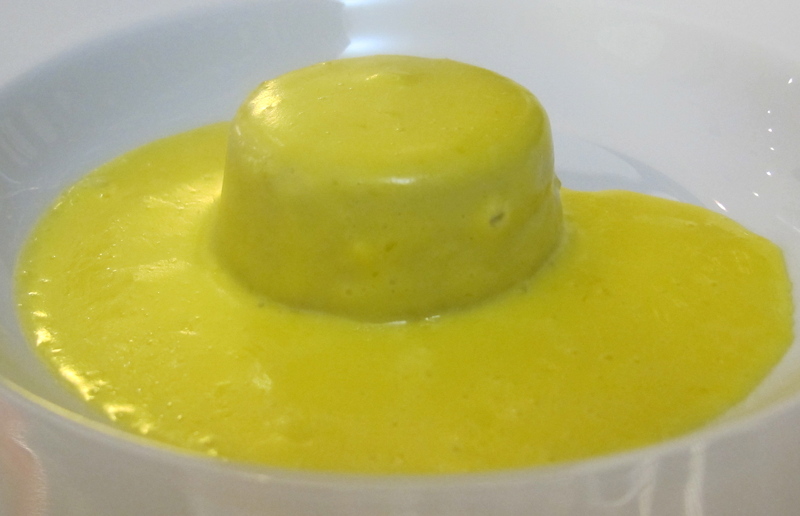 Easy to remember what’s great with raclette and fondue – both melted cheese dishes – think Fendant, the grape that melts! One might call Pinot Noir “the grape that saved the Valais wine industry.” Its appearance in the mid-19th century was part of efforts to regenerate viticulture in Valais. Like the home of Pinot Noir, Burgundy, Valais is prone to both dryness and cold weather, both of which the grape tolerates well. Unlike Burgundy where irrigation is forbidden, both drip and sprinkler irrigation provide summer moisture in this semi-arid Alpine environment. Legendary Valais wine producer, the late Simon Maye, brought drip irrigation to Valais from Israel in the mid-20th century. His impact on wine production, both through innovation and dedication to quality, cannot be overstated. His sons, Axel and Jean-Francois along with their mother, Antoinette, carry on production of excellent Valais wines, most notably Pinot Noir Vieilles Vignes (old vines), Dole (a classic Valais blend primarily of Pinot Noir), Syrah, Petite Arvine, Paien, and Fendant. 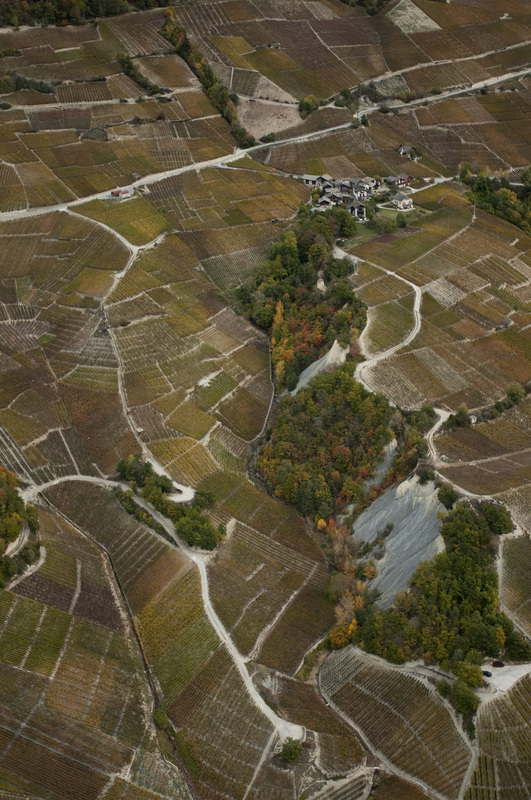 Paien, or Heida as it is called in Upper Valais, is the Valais version of Savagnin Blanc. This grape, that pairs beautifully with wild mushrooms and fresh mountain cheeses that abound in Valais, is cultivated in both the French and German speaking parts of the canton. The earliest record of Heida was found in Visperterminen where since the 16th century it has been grown in Europe’s highest vineyards at 3600 feet above sea level. Many indigenous varietals were on the wane as other more trendy – and lucrative – wines appeared in the mid-20th century. But since the Valais government’s initiative in the 1980s to preserve these ancient members of Swiss viticulture, production has increased. Cornalin du Valais, the rich, bold red that ages nicely and stands up to the powerful flavors of game, is one varietal that has enjoyed a renaissance. It has become so important that there’s a festival (fete) in Flanthey to honor it every September. It’s my favorite Swiss wine in autumn given the availability of a bounty of flavors that so nicely pair with it. Enjoying a bottle of Cornalin in autumn on vintner Nicolas Bagnoud’s winery patio, drinking in both his excellent Cornalin and the spectacular optics of autumn while enjoying dried sausages and local cheeses, should be on any oenophile’s itinerary for Valais. Other indigenous wines include Armigne, Petite Arvine and Humagne Rouge, also known as Cornalin d’Aosta. This red wine is referred to as “gentleman’s wine” because of its low alcohol content that makes it great for lunch when followed by an afternoon of work. 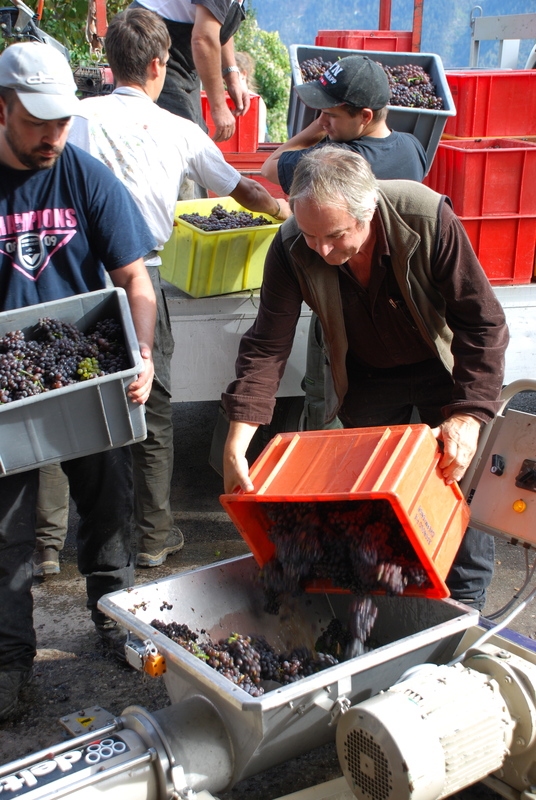 Vintner Nicolas Bagnoud during the pinot gris harvest. Now that you have a little more knowledge of the Valais wine portfolio, I urge you refer to www.lesvinsduvalais.ch for a broader view of the vinous pleasures hidden in plain sight in Valais. 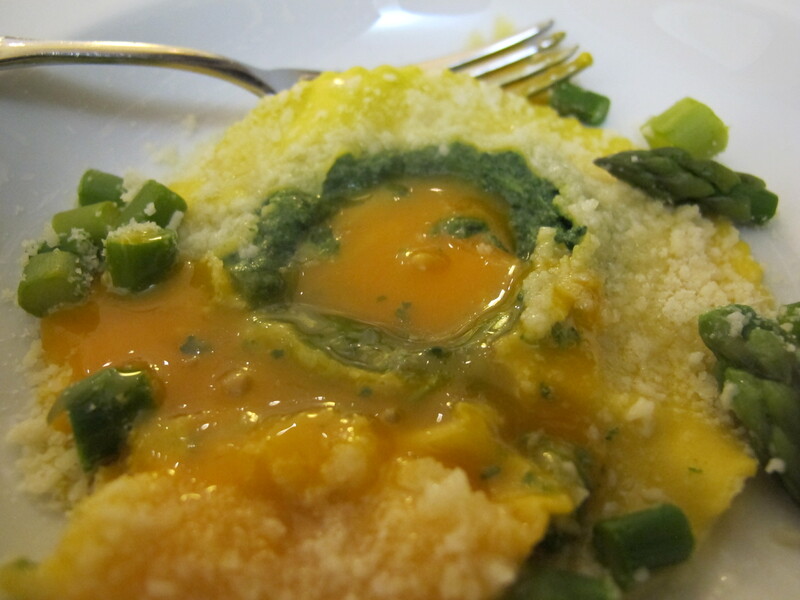 You’ll have to wait for my book, “Under Discovered: Piemonte through the eyes of its women” to get the full story. In the meantime, I thought I’d introduce you to some of the wonderful women and their families who will populate the pages of my book. Many I’ve known for nearly 14 years, but a few I’ve only just met through the process of researching my book. One of those women is the effervescent and immensely talented Chiara Boschis, winemaker and owner of E. Pira e Figli in Barolo. 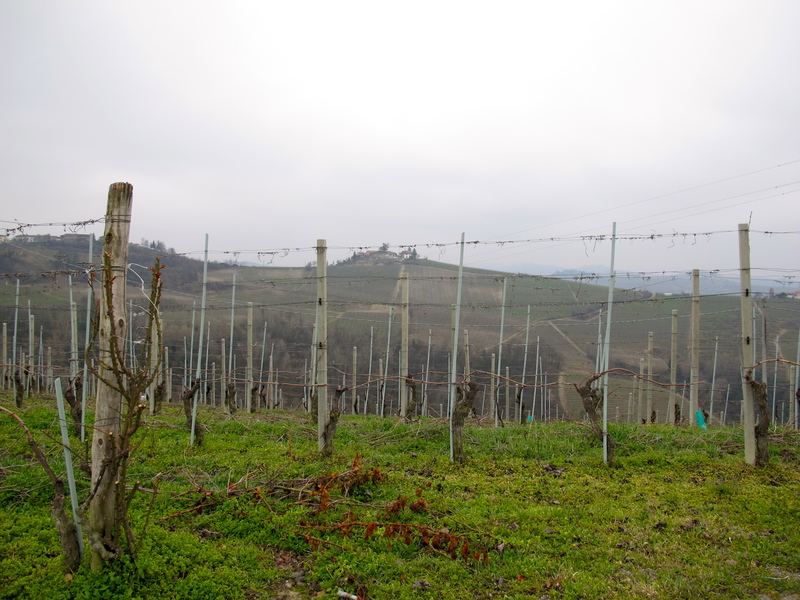 What I didn’t tell you was how I discovered this well-known, under-discovered maven of Barolo. Serendipity is wonderful and often its surprises can yield incredible fruit. After a grueling month of first getting my husband Dani off on his long trip to Israel, I was off on my odyssey in Piemonte. 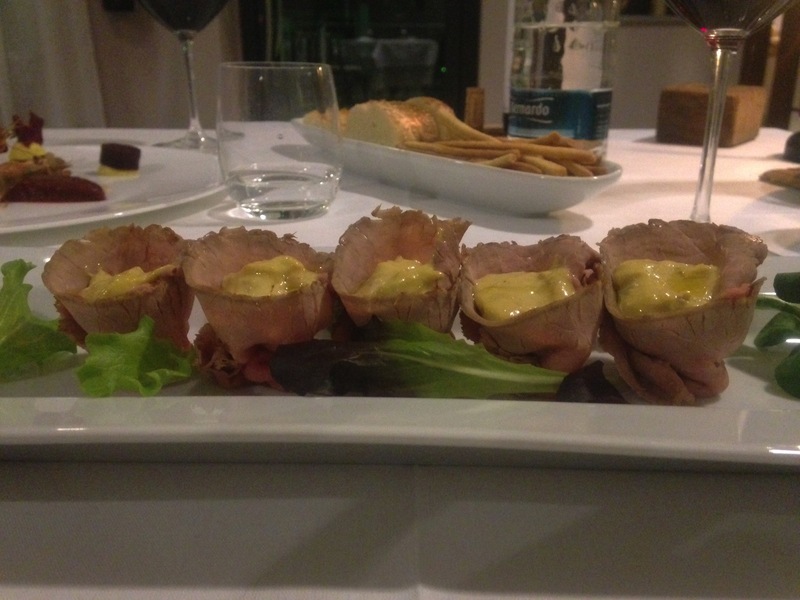 I arrived in Treiso at Agriturismo Il Bricco evening of March 19th. The journey had taken nearly 27 hours, but I was excited to be back in the land of the noble grape. Wednesday, Thursday and Friday took me back and forth between Treiso, Barbaresco and Barolo interviewing fascinating women and men from the winemaking families of Cantina del Pino, Marchesi di Gresy, Gaja, G. D. Vajra, Livia Fontana and Cascina delle Rose. Although I still had interviews to conduct at Deltetto, Ca’ del Baio and Matteo Correggia the following week, the weekend gave me a much-needed break to process all that I had learned in the hours of interviews. 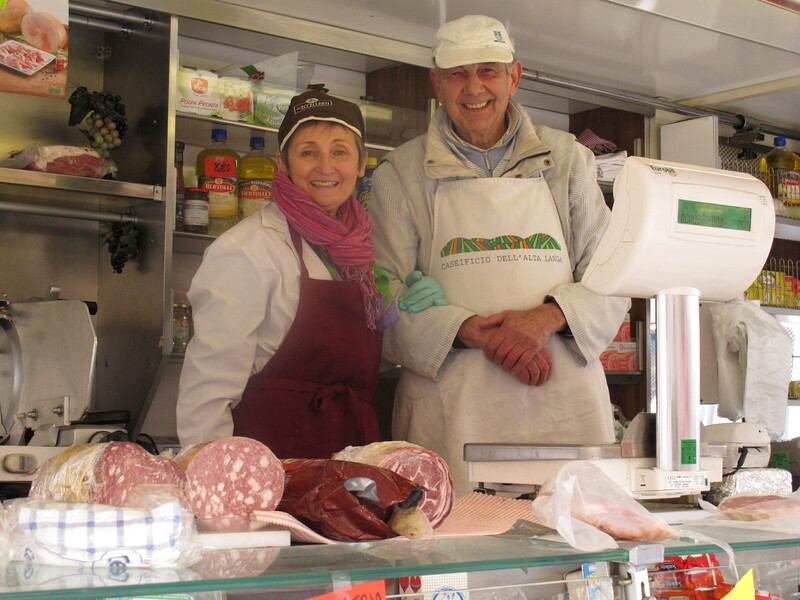 Most of all, the weekend meant market day in Alba. 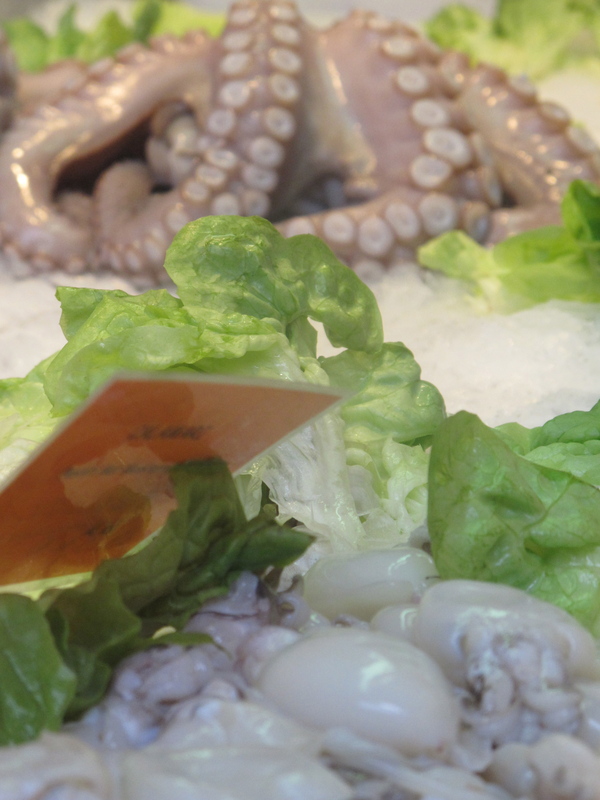 The Alba mercato is located on the fringes of the old city. During the week the area under and around the massive roof is a parking lot. 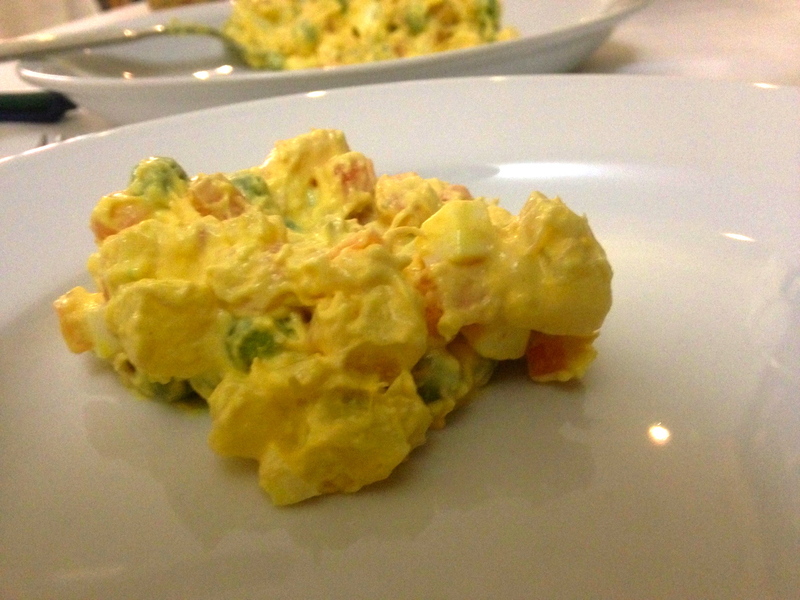 But on Saturdays it becomes an expansive gastronomic venue. 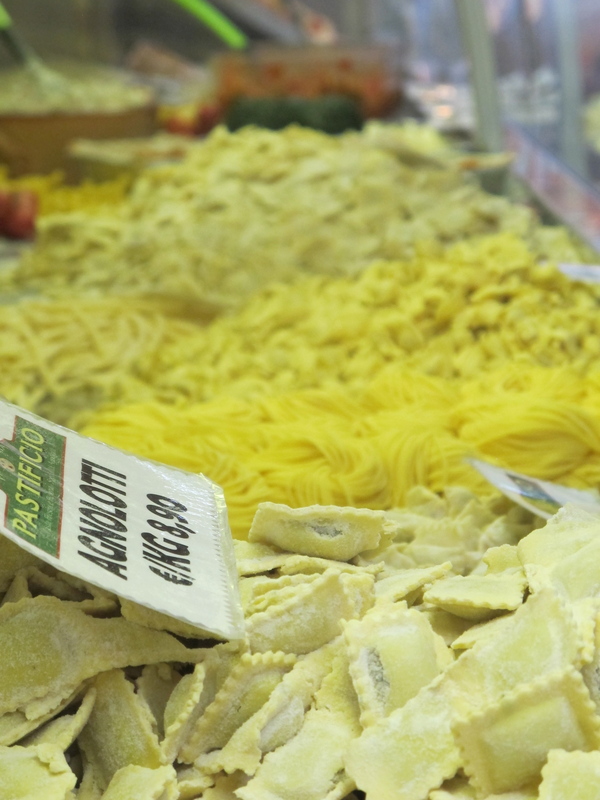 Everything one needs to make prepare a stunning Piemontese feast – including the utensils, gadgets, pots and pans – can be found at the market. Ok, so you have to shop elsewhere for the treasured tartufo bianci in autumn, but even the clothes and shoes to wear for the occasion can be purchased here. Nothing like an hour walking around, envying the availability of beautiful vegetables, cheese, meat and seafood to remind me of what I miss most about living in Europe. Why can’t we have markets like that in Colorado instead of the over-priced weekend farmers’ markets? WIth that obligatory stroll through the mercato complete, I drove back to Il Bricco, deposited my goodies – chestnut honey, roasted hazelnuts, lace scarves and the Parmigiano-Reggiano given to me as a gift from the cheese couple I wrote about last year – and headed west to Barolo (see below). I was on a mission. 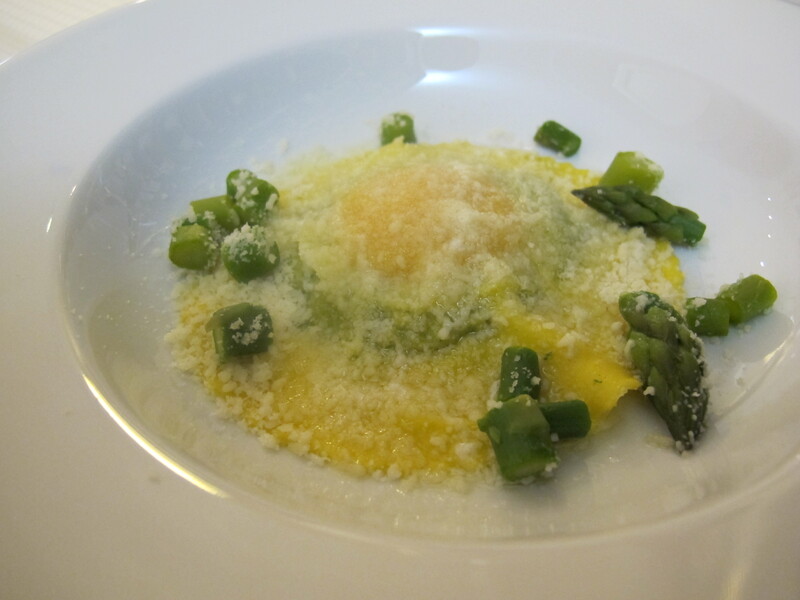 Ristorante La Cantinetta was my destination. With the best intentions to write everyday, I set up my blog. Unfortunately, the umbilical cord that keeps the lifeblood of our internet addiction flowing – wifi – has been unreliable. I arrived in Geneva mid-afternoon on Tuesday, March 19th, after a long journey from Denver to Washington D.C. onward to Frankfurt – now there’s a marathon of a flight connection! – and finally Geneva. It was my intention to jump into the rental car and drive either to Chamonix or Courmayeur since I didn’t believe for a moment I could survive the long drive – particularly through Torino – after such a long plane trip. But the weather was so beautiful and the roads fairly empty that when I popped out of the Mont Blanc Tunnel at 4:30 in the afternoon, I kept going. And yes, it is possible to drive for four and a half hours without radio, CD or MP3! Snow had fallen in the Alps the night before, treating me to stunning views of trees covered with fresh snow and soaring alabaster peaks against a bluebird sky. I’ve seen Mont Blanc from nearly every angle, including once from a low-level flight in Swiss International Airline’s brand new A340 on a journalist’s junket, but never quite so unforgettable as this. Anyone who lived in Europe when the 7-mile long, two-lane tunnel was transformed into an inferno the morning of March 24, 1999, can’t possibly enter the tunnel without a little uneasiness. I can’t. This was the part I worried about the most as I drove through the Arve River valley to the tunnel. If I had felt the least bit tired, which I wasn’t, I would never have taken the risk of entering the tunnel. Not fair to anyone. Driving through the Mont Blanc tunnel is one of the few times I witness restraint on the part of Italian and French drivers as they respect the speed limit and the 500 foot distance required – and monitored – between vehicles. Once out of Valle d’Aosta and into the flatland between mountains and hills, the Alps bordering France and Italy appeared, drenched in the rose-colored light of the setting sun. Monte Viso, the triangular peak that is the highest in the Cottian Alps, soars above its neighbors. A solitary soldier, seen from miles away. The remainder of the long drive was fairly easy, even the rush hour traffic of the frequently maddening tangenziale circling Torino to the west. The Asti Est (east) exit that used to be a transition from the relative ease of the autostrade to the confusing maze of construction zones and then onto the Asti-Alba road, lined with prostitutes and slowed by gawking truck drivers. But now, with the autostrade completed between Asti and Alba, the once 30 minute drive is reduced to a quick 10 or 15, depending on how brave one is push the speed limit. Something Italians generally have no problem with doing! Arriving in Treiso and finding the Argiturismo Il Bricco beyond the church, high on the bricco (hill), was easy. So many times before I had driven through the square. Nothing had changed in the past 14 years except for appearance of the restaurant and bar Profumo di Vino, the successful brainchild of Mexican chef, Guillermo (Memo) Field. 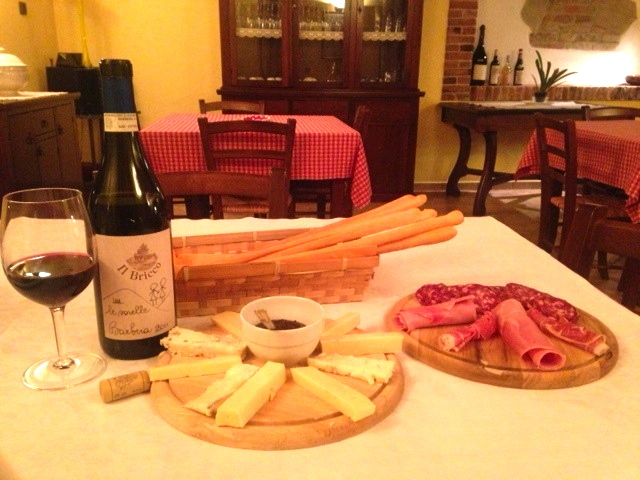 Plates of local cheeses and tender, tasty salami with a basket of feather light grissini helped down my throat by the family’s Barbera d’Alba was all I needed. The 28-hour journey was over, but the adventure was just beginning. It will take me a few days to catch up on my writing, but I will. So much to process after 9 interviews! Welcome to my bare bones blog! Someone once told me setting up a blog was easy. Someone was wrong! In the last few weeks of titanic struggle and frayed nerves while waiting online for a GoDaddy tech – only to have him read something from the internet I’d just found – I’ve discovered that it isn’t “point and shoot” technology. Or in the case of a blog, point and write. Yes, there are free travel blogs available, but with stern warnings about using it for commercial purposes. And let’s face it, this is a commercial purpose. So even though I’m a “reformed” lawyer, old habits die hard. Needless to say, I rarely take the easy path! But ending up with something sterile and lacking in bells, whistles and widgets isn’t all that bad. At least it’s a platform for me to share with my readers Piemontese stories related to me by its women over the next 10 days. 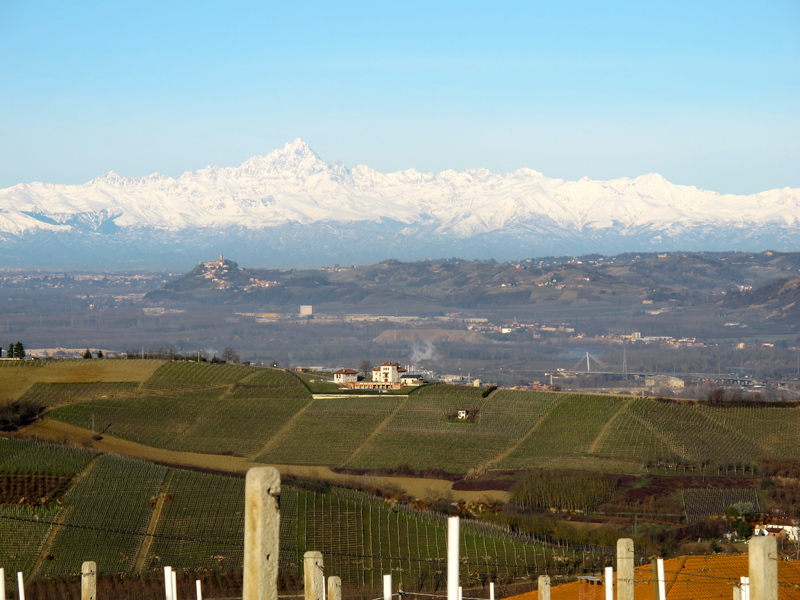 It’s the first major step to “Under Discovered: Piemonte through the eyes of its women.” If all goes according to plan, you will be able to put it on your Christmas shopping (or wish) list. The next 24 hours will be stressful traveling, but once I settle down at Agriturismo Il Bricco in Treiso, I will be back online writing and sharing pictures. 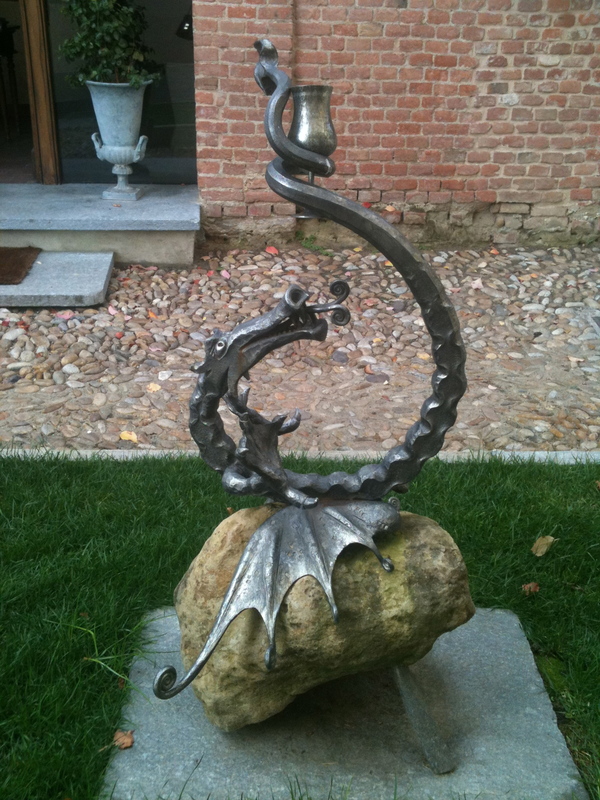 In the meantime, enjoy this fun picture of the wine dragon at Villa Tiboli near Canale in the Roero. Wine dragon at the Villa Tiboldi near Canale in the Roero district.